PowerPoint slides of the tables and figures in the book that you can incorporate into lectures. Multiple-choice questions in Word and machine readable format so that you can incorporate them into online assessments or print them for paper assessments. The same multiple-choice questions as above presented in an interactive format; if you would like students to have access to the book’s many interactive resources but don’t wish to upload the questions into a Learning Management System (Blackboard, Moodle, etc. ), you can simply provide the URL and passcode for this site to your students for them to utilize on their own time. Links to YouTube videos of the author’s lectures on the book, all divided into short chunks that you can link into online courses. Access to this site is restricted to instructors only. 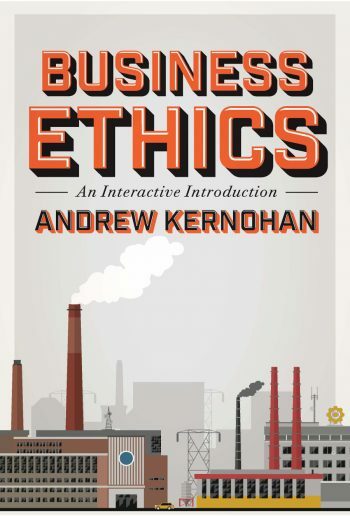 If you are an instructor using Business Ethics: An Interactive Introduction, or if you would like to review this website to consider it for course use, please contact your Broadview representative for an access code. If you’re unsure of who your Broadview representative is, please contact publishersreps@broadviewpress.com.